Former New Zealand cricketer John Bracewell will be stepping down from the podium as Ireland’s coach in December. The Irish Cricket team has had to endure poundings by Afghanistan, England, Bangladesh and New Zealand – all since March of this year. Bracewell and Cricket Ireland have been quoted as saying that Bracewell stepping down was a mutual decision, with Bracewell citing his wanting to return to New Zealand to his family, despite having become engrossed in Irish culture together with his wife, as the reason for his wanting to step down. 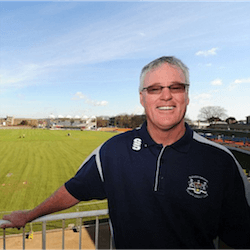 Bracewell described the work ethic and values of the Irish as being second to none, and Cricket Ireland’s executive officer Warren Deutrom has commended Bracewell as being a hard worker and committed to Irish Cricket. Performance director Richard Holdsworth made reference to the fact that there were mollifying factors that had contributed to Ireland’s recent bad run and that Bracewell had inherited a squad in dire need of reconstruction to start with. Why the much-needed reshuffling and maintenance could not be performed over all of 30 months is anyone’s guess. To Bracewell’s credit, he did greatly assist the Irish Cricket team in many endeavours – such as qualifying for the World T20 2016 and also to attain full Test Status in 2017. All things considered, one cannot look past the fact that Ireland has won only one out of 14 matches against full members since March of 2015. This, coupled with the fact that Bracewell was appointed as head coach shortly after the 2015 World Cup, and that Ireland had before March 2015 managed a 21-match unbeaten streak – is quite telling, to say the least. Bracewell has been playing professional cricket since 1979 and despite having scored a century, holds the record for the longest ODI career without scoring a half-century. Ireland is not the first time that Bracewell’s coaching prowess has fallen under intense scrutiny. Having also coached the New Zealand cricket team between September 2003 and November 2008, Bracewell’s approach to team selection became a point of contention during the 2006/2007 Cricket season. Bracewell subscribed to a rotation policy and this was said to have resulted in New Zealand’s top order batting never moving past a condition of frail vulnerability. Bracewell also saw a general decline in likeability from the New Zealand Cricket community at large, as a result of having made derogatory remarks about Australian cricketer Shaun Tait, as well as having insulted some of New Zealand’s own players. New Zealand has become the first country to announce their official squad for the upcoming 2019 World Cup set to take place in England and Wales. 28 year old Kane Williamson has been named as captain for the 15 man squad of Black Caps who were last beaten by Australia …. Chris Gayle claimed an incredible 162 as their opponents the West Indies fell short of a famous one day international win against Jos Buttler’s England while playing in Grenada. 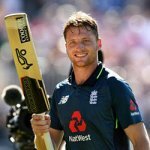 The hosts had almost chased down the visitor’s 418-6, with Buttler hitting 150 off of 77 balls, but the tourists managed …. 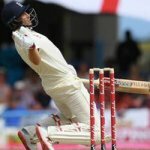 England has collapsed again after being bowled out for 187 during day one of their second Test playing against the West Indies. 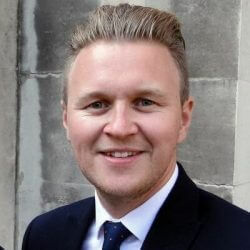 The visitors, who left the field for 77 in the first Test, lost to 93-6 despite star player Jonny Bairstow hitting a total of 52. Moeen Ali claimed …. 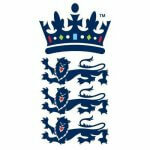 England were bowled out for a total of 77 as the West Indies claimed control of the first Test on a day when 18 wickets were knocked down while the teams played in Barbados. Kemar Roach too 5-17, Alzarri Joseph 2-20, and Jason Holder 2-15, allowing the team to dismiss …. 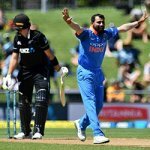 The India versus New Zealand game, the first of a five match day one international series was cut short due to a setting sun in Napier, allowing the Indian team to claim victory for the day. The sunset at McLean Park was shining directly into the eyes of the batsman, ….